It's hard to believe but Christmas is next week! Ahhhh nooooo. I have not finished my Christmas shopping, it's so hard to buy for other people especially boys, I have no idea what to get my brother a part from chocolate. Shopping's also dangerous as I'll just find stuff I want and buy it, oops. So here's my Christmas list for this year. 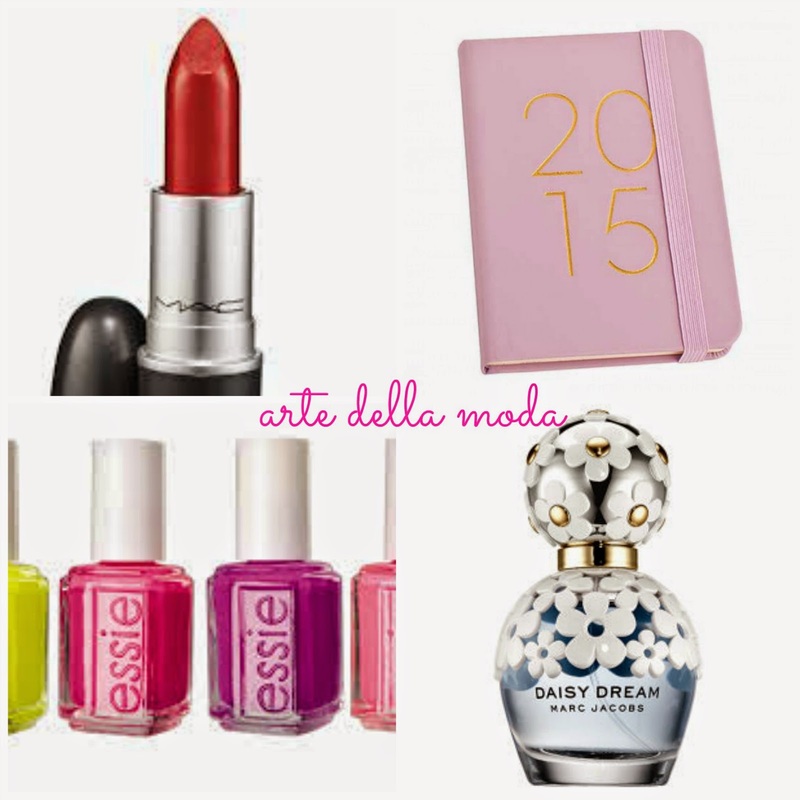 TL - BR: MAC Ruby Woo, Kikki K 2015 Diary, Essie Nail Polish, Marc Jacobs Daisy Dream Perfume. So this is all I could really think of, throughout the year I always have a number of things I want but when it comes to making a list for Christmas I find it hard. I have a book that is filled with all the beauty items I want but I won't go into it, it's extensive. My Dad isn't too happy nail polish is on my list, he thinks I have a lot but really I don't, most of them are shatters anyway. Hope you all enjoyed this post! I would love to know what is on your Christmas Wish List.